Before the events of the last few weeks, we would have said that building safety is not so much an issue in Cambodia. However, only hours after international brands signed onto the Bangladesh Building and Fire Safety Agreement, a building collapse at Cambodiaâ€™s Wing Star Shoes claimed the lives of at least two Cambodian garment workers and injured more than ten. 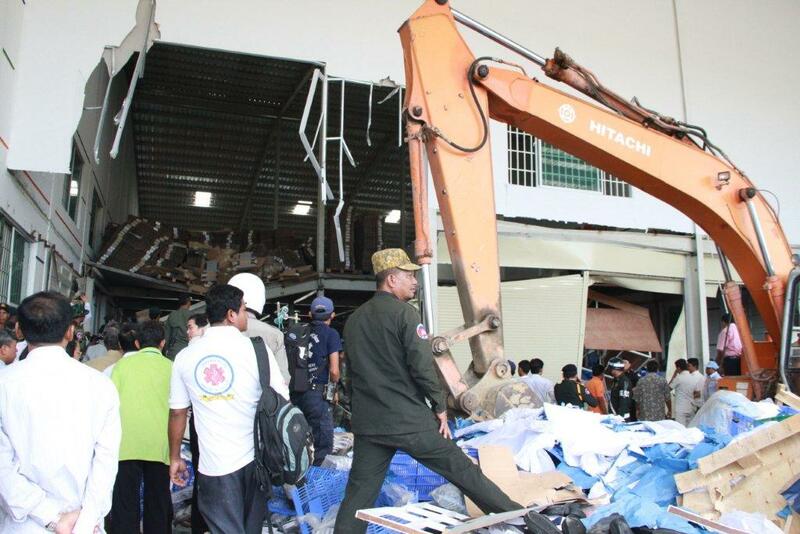 Less than a week later, twenty-three garment workers, one of them a pregnant woman, were taken to hospital after a collapse at Cambodiaâ€™s Top World Garment. This begs the question; where is the improvement in the life of a garment worker? That changed in 2012. On 20 February 2012, an unidentified male approached a group of around 6,000 workers protesting the poverty wages and exploitation that epitomize the Cambodian garment industry. That man shot three young women aged 18 to 23 for requesting a pay increase of 50 cents per day. That man was the District Governor, who later confessed to the triple shooting, yet was still not arrested. International brands invest millions in self regulated sustainability and responsibility initiatives but the sad truth is that we are now comparing garment industries based on who kills the least amount of people. Many people talk of the economic growth that the industry brings, but how inclusive is it? Where is the increase in those overcoming a non-adjusted poverty line in Cambodia, Bangladesh, or any other production country? This is merely clever marketing. Cambodian factory owners report annual turnover of up to US$16-18 million dollars. Further in 2012, the revenues of international brands H&M, GAP, Walmart, and Adidas were an amount almost 43 times Cambodiaâ€™s entire GDP. In contrast a Cambodian garment worker has a minimum wage of less US$75 a month and earns less than a self employed moto-taxi driver. The minimum wage is less than half the average cost of living in provinces where factories are located. Workers as young as 13 years old toil six to seven days a week, up to 16 hours per day just to cover expenses. They need to take loans to cover unexpected costs like doctor’s fees. 80-90% of these workers are employed under short term contracts that are perpetually renewed. If a garment worker asks questions about wage or maternity leave or freedom of association they will not receive another contract. Cambodian garment workers are hanging on by a thread – a combination of poverty wage, slave labor and the constant fear of not being able to provide for their impoverished families. 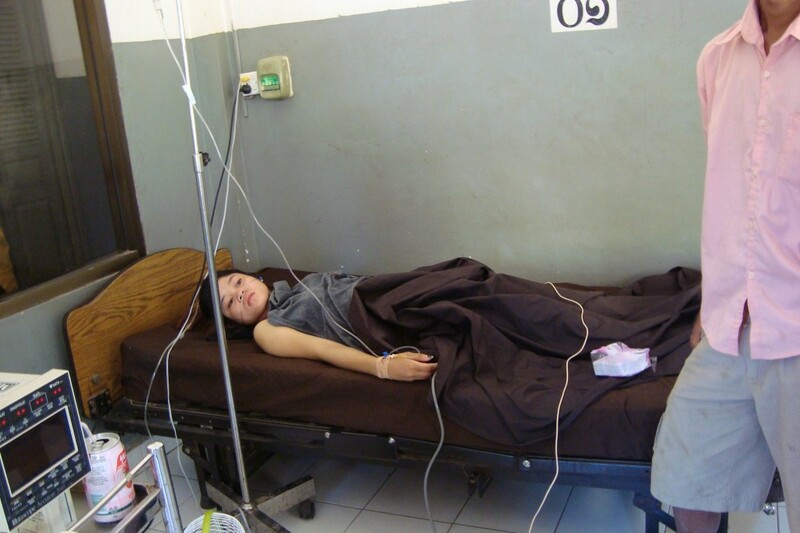 Pregnant women will work until they deliver as they are often denied maternity leave. This results in deaths on the delivery table, “do-it-yourself” abortion and suicide out of fear that infants will not survive during the three months it will take to resume work. Pregnant women will join strikes to demand increase in wage, maternity leave and milk for their infants, during which they are kicked and beaten by police. Trade union leaders and their members are also beaten, shot and criminalized for requesting that their basic needs are met. What is frustrating is how easily this could be remedied. Increased wages would increase the price of garments less than a dollar per piece. Eliminating short term contracts and allowing space for trade unions costs nothing. The garment industry should be a revolving door for the impoverished but apparently people need cheap t-shirts and brands and governments need extortionate profits and kickbacks. 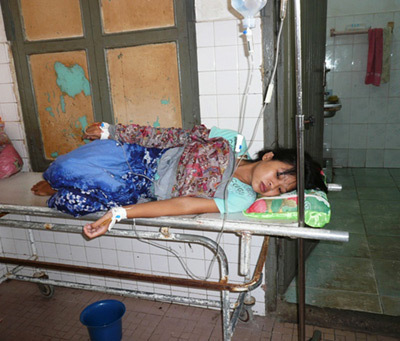 In its current format the Cambodian garment industry and the lives of those therein, are not sustainable. That should be a concern for everyone. Joel Preston works for the Community Legal Education Center (CLEC) based inÂ Phnom Penh, Cambodia. Stop Nadine Dorries’ abstinence education bill! So what is being done to change these situations, and who are the owners of the companies. It’s a damn shame that people have to die just to live. Is there any organizations that are trying to help them change these work conditions? There are lots of groups including the ones who published the article who are based in Cambodia.